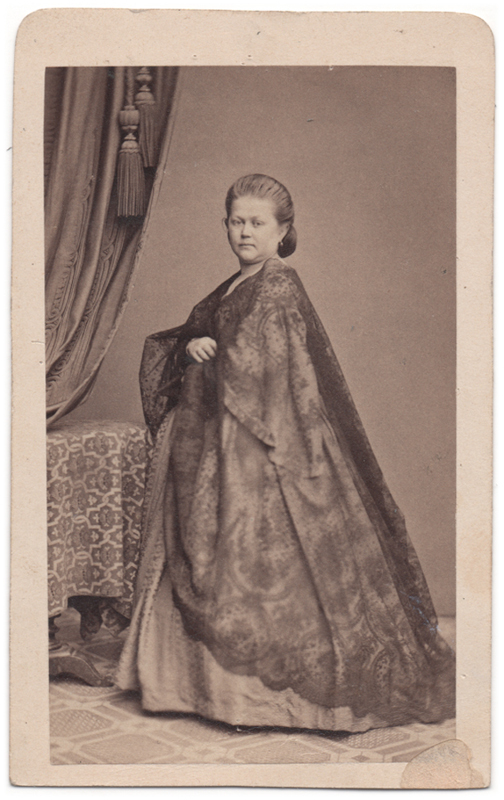 Photograph of a woman with a floor-length cloak of fine lace draped around her dress. 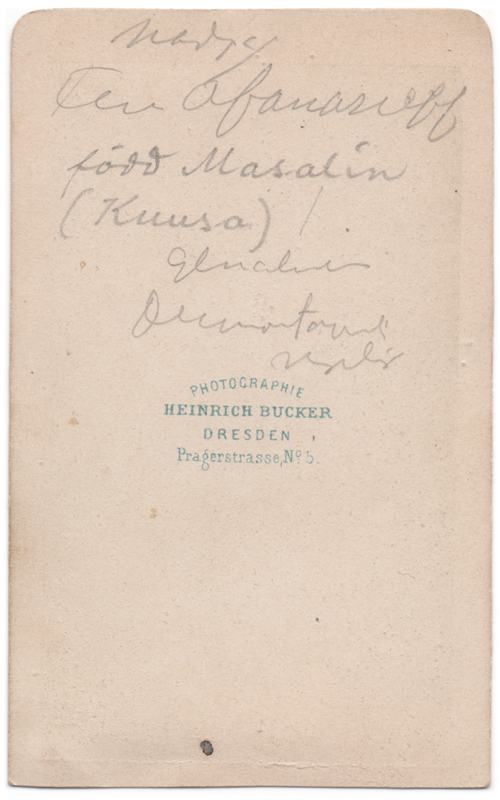 There is writing in two different styles of handwriting on the back of the photograph. The first handwriting is quite illegible, but the other one I can make sense of: “född Masalin (Kuusa)”. This indicates that the woman’s maiden name was Masalin, and that she was born in a place called Kuusa. There is at least one place by that name in Finland, but I wonder if it is the same that is mentioned here; the internet tells me that Kuusa used to be called Kuusaa during the time this picture was taken. It is of course possible that this writing has been added later, or that the writer has misspelled the name of the place. It’s a pity I can’t read the rest of the writing! Maybe someone else can? The photograph has been taken by Heinrich Bucker in Dresden, Germany, most likely at some point during the 1860’s.